today's nightstand comes from nichole over at little brown pen. nichole's blog is overflowing with gorgeous imagery, dreamy tales of paris and drool worthy food posts (c h e e e e e s e *sigh*) -- definitely a must follow. 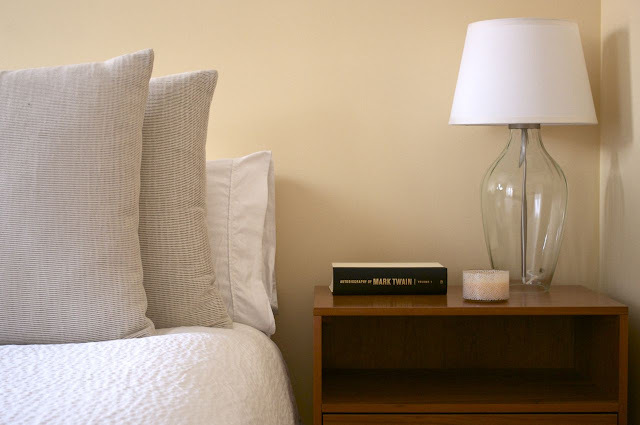 pop on over and check it out, but in the mean time here's a peek at her perfectly, simplistic nightstand. I don't like any clutter in my bedroom, so typically my nightstand holds the book I am reading, a candle and some lip balm (not currently there because my son "misplaced" it). I am reading Mark Twain's autobiography at the moment and considering it's the size of a small dog, it may be there awhile. 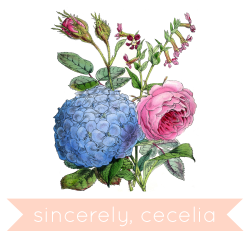 In the spring, I'll add fresh flowers from my garden to freshen things up.